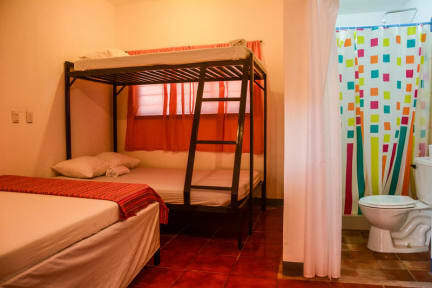 The spacious rooms are breezy, clean and brightly painted. The staff are friendly, the beds are comfortable, there is access to fast internet service, and the hammocks in the courtyard will surely beckon you to stay awhile. Eat an array of fresh tropical fruit from the trees there while you're at it. And it's right across from the beach and all best the beachfront restaurants. 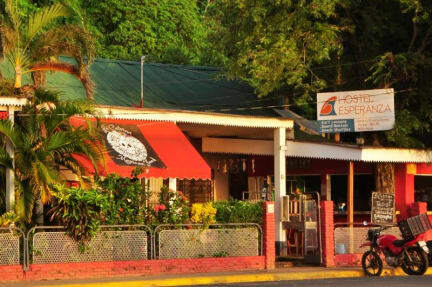 Hostel Esperanza is safe, cheap, fun and relaxing -- a true backpacker's paradise. There's nothing more you could really ask for.